Stephen Jacobs is a partner and co-chair of the firm’s Corporate Department. Stephen focuses his practice on general corporate law with an emphasis on advising hedge fund and private equity funds on a broad range of transactional matters, including fund formation and regulatory matters, joint ventures, mergers and acquisitions, corporate finance and lending. He has significant experience with a variety of asset classes and industries, including real estate, media, direct marketing, entertainment, telecommunications and technology. In addition, Stephen has over 28 years of diversified experience as a manager, operating executive and transactional lawyer. 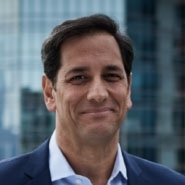 Prior to joining Herrick, he served as chief operating officer, general counsel and chief compliance officer at Spectrum Group Management, a distressed credit and real estate-focused hedge fund and private equity fund. Prior to joining Spectrum, Stephen was a corporate partner at Kramer Levin Naftalis & Frankel LLP, where he advised private equity and hedge fund managers in the real estate and TMT sectors. Before that, he spent eight years in senior operating positions at portfolio companies sponsored by the private equity funds Quadrangle Group and Wasserstein & Co., where he was responsible for diverse areas such as finance, legal, compliance, corporate governance, risk management, real estate, facilities, IT and investor relations. Previously, Stephen was assistant general counsel at AIG, where he was responsible for all domestic mergers and acquisitions, and an attorney in private practice.